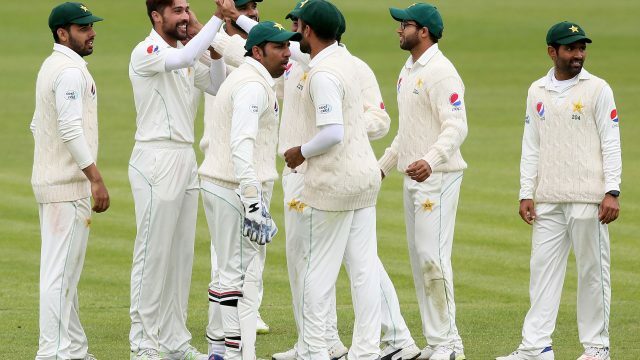 Pakistan Today – DUBLIN: On Monday, Kevin O’Brien became the first Irish batsman to score a century in men’s Test cricket. Today, Pakistan will be looking to stop the flow of runs from the Irish and take the last three wickets before Ireland can put up a big score. The last thing Ireland needed was to gift Pakistan a wicket via a runout and yet that is exactly how an opening-stand eventually worth 69 runs ended when Joyce set off for a needlessly tight single before failing to beat Faheem Ashraf’s direct hit from midwicket. Amir struck with his 29th ball Monday when Niall O’Brien, Kevin’s brother, had his stumps uprooted for a wicket greeted with the bowler’s familiar arms outstretched celebration. Best known for hitting the fastest-ever World Cup hundred, off 50 balls, against England at Bangalore in 2011, Kevin O’Brien made Ireland’s maiden Test memorable with his hundred. Pakistan took the new ball with Ireland 193 for six but Kevin O’Brien´s response was to clip Abbas for a legside boundary.